Everything is ready for the upcoming Gold Cup, which will be held in June. Football Confederation Association North, Central America and the Caribbean (Concacaf) today announced the full schedule groups and one of the most anticipated events, in which 16 nations will seek to be crowned as the best team in the region. 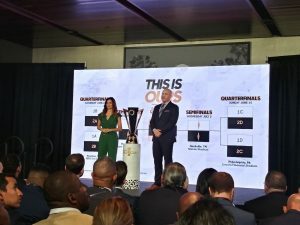 Details of the groups, schedules and stadiums where the games will take place were announced Wednesday at the Banc of California Stadium in Los Angeles. 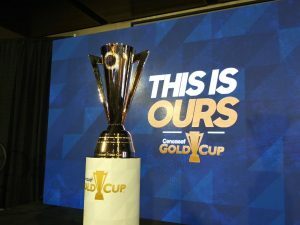 As something new, This year the Gold Cup will have three venues: Costa Rica, United States and Jamaica. Group A, better known as the “Group of Death” It is formed by Mexico, Glen, Martinique and Cuba. In group B, are the selections of Costa Rica, Haiti, Nicaragua and Bermuda. The Savior, Honduras, Jamaica and Curacao, They form the group C. While, U.S, Panama, Trinidad and Tobago and Guyana, part of the group D.
“The love of football is demonstrated with each passing of the Concacaf Gold Cup edition”, Concacaf president said, Victor Montagliani. "Bring the Gold Cup 16 Costa Rica equipment, Jamaica and the United States is a turning point for football in our Confederation time. This 15th edition will make the tournament more competitive and attractive for players and fans, and at the same time it shows the unity of our region, the passion for football and talent in the field”, Montagliani stressed.